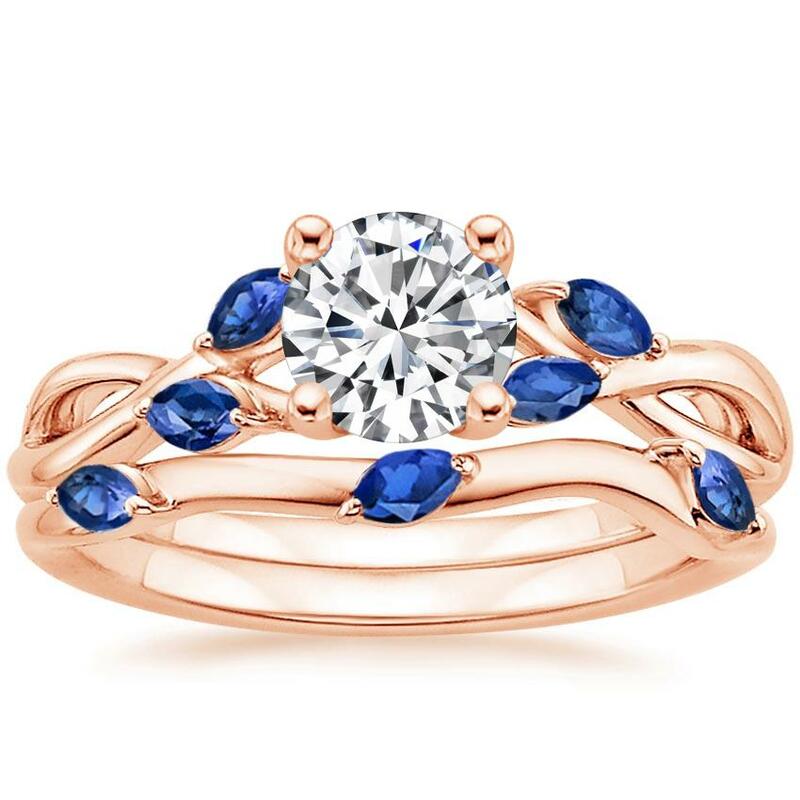 Wispy vines of precious metal entwine toward lustrous marquise-shaped sapphire buds in this nature-inspired trellis ring. The matched band sits flush and features a trio of marquise-shaped sapphires in a delicate floral pattern. Love my ring. Will purchasing matching band. 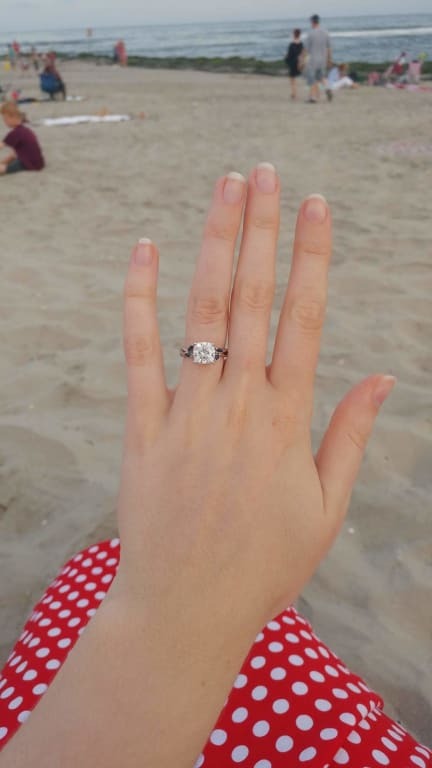 I was really impressed with how well my partner was able to work with your company to craft a unique but simple engagement ring. I'd prefer that I never bought another one of these. Either my fiancee would have lost it or, far, far worse, I'd be looking for a new fiancee! It's a wonderful colour and unusual cut of stone in a very distinct setting that my lovely lady just adores.